These are the sustainably-minded Oregon companies that are stepping up to make a bigger impact this Earth Day through a donation to our earth-focused Oregon nonprofits. Companies are added as they sign up. 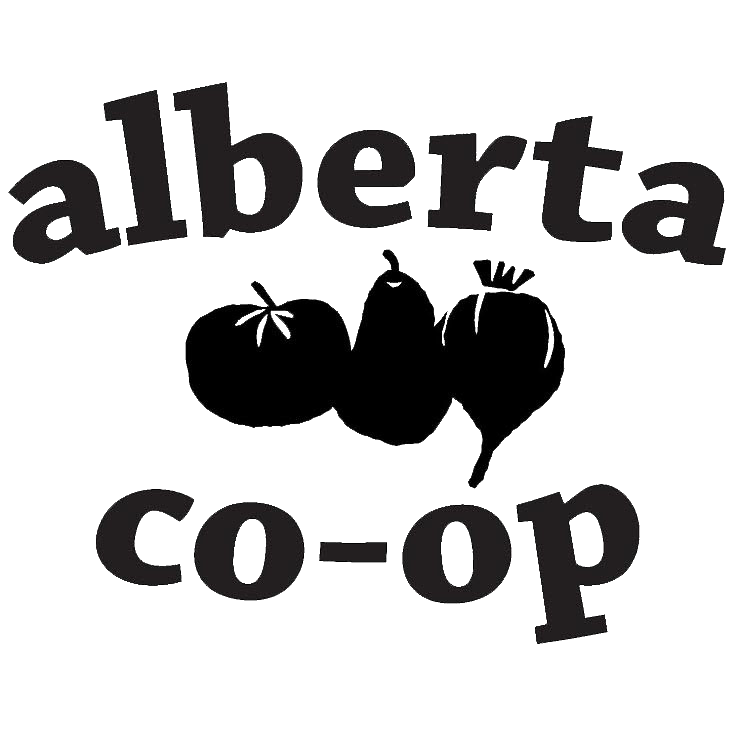 Community-owned and worker-run, Alberta Co-op carries over 1,000 products produced by local businesses and farmers, with a focus on organic, and socially responsible sources. Every time you shop at the co-op it’s a chance to re-invest in your local economy. Opened along the banks of the Sandy River, in 1986, Alder Creek Kayak, Canoe, Raft & SUP can now be found in five locations in the Metro region where they sell and rent gear, as well as offer classes and programs that strive to protect the environment and promote conservation awareness. Create your exquisite terrarium and perfume blends with plants and natural materials, or choose from the options Artemisia has created for you. Founded by Amy Bryan Aiello in 2004, Artemisia specializes in fostering people’s creativity and providing an inspiring space and materials to explore. How has a small, local company like Backyard Bird Shop managed to stay in business for 28 years? Backyard Bird Shop thinks it’s because they help you tune into the environment, and make a difference right in your own backyard! They provide the products and information to transform a typical urban backyard into a habitat for birds, squirrels, bats, mason bees and other wildlife. Opened in 2012, locally owned Beanstalk Children’s Resale consigns quality clothing that might otherwise end up in our waste stream. Enjoy shopping at their Fremont or Montavilla locations, where they value friendliness, cleanliness, courtesy and sustainability. With more than 40,000 service providers across the US and Canada, and a sustainable transportation agenda, Better World Club is the nation's best alternative to AAA. Better World Club provides quality roadside assistance, nationwide, 24/7. They also provide access to hotel and car rental savings, maps, trip routings, and other travel protection benefits without compromising your values. 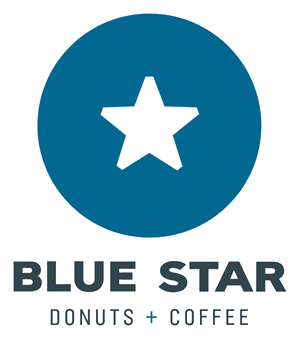 Founded in Portland in 2012, Blue Star Donuts prioritizes quality, local ingredients and support for the community. Their donuts are a direct reflection of their Values, and who they are as a company. Designing and building bikes in North Portland, every custom Breadwinner bicycle undergoes a process that stems from the creator/designers, Ira and Tony’s, love of riding and creating quality objects with their own hands. Brew Dr. Kombucha was founded by Oregonian, Matt Thomas, in 2008, and originally brewed in the basement of his Townshend’s Alberta St Teahouse. Now you can find Brew Dr across the US and Canada. Certified B Corps. 1% for the Planet member. Chinook Book has worked with thousands of schools, nonprofits and community groups in Oregon and across the country who raise funds for their organizations through the sale of Chinook Book. Certified B Corps. Cilogear creates “the world’s most rugged packs” by hand, in Portland, Oregon. Located in the St. John’s neighborhood, Cilogear believes in lean manufacturing, with packs made from materials sourced from the USA. For more than 80 years, Columbia Sportswear Company has been making gear for people who enjoy the outdoors in the Pacific Northwest and far beyond. They partner with a variety of conservation-focused nonprofit organizations, to provide annual product and cash donations, that help us meet our shared goal of conserving the outdoors. Founded by Portlander, Katherine Deumling, Cook With What You Have aims to inspire home cooks to cook with what they have on hand. Offering seasonal recipes, suggestions for stocking a utilitarian pantry, ideas on how to use all food from your CSA, Cook With What You Have is a wealth of information and inspiration. Dossier’s sustainability programs minimize waste and care for the natural surroundings that draw travelers to Portland. In addition to their “Green for Green” program that incentivizes guests to reuse towels and sheets, Dossier offers a sustainable meetings initiative for which every $2,000 spent in guestroom and food or beverage, a tree is planted in the Portland area by Friends of Trees. Opened on Glisan St in NE Portland in 2007, Dove Vivi’s mission is short and sweet: To make cornmeal crust pizza with all the appropriate accompaniments. Established in 2008, EastBurn is a neighborhood Public House that is as diverse as Portland’s population. Their chefs elevate the public house dining experience with innovative brunch and dinner dishes that comfort and delight. ecoREAL was born out of need to innovate cost-effective and seamlessly-integrated sustainable design strategies and tools with the design and construction process. With central offices located in Portland, ecoREAL provides tools and resources that promote project-wide collaboration to achieve sustainability goals. Founded in 2000 by three lifelong friends, ECOTEAS supports organic agriculture, fair trade and sustainability. They minimize packaging using cutting edge compostable materials, and for every ounce of water used in their productions, they restore an ounce to the Sevenmile Creek near their home Ashland, Oregon. Based in Portland, Elevate gives back to the community in a tangible way contributing significant portions of their revenue stream to other organizations who do incredible work. Their hopes are to be part of something bigger than our small business. 1% for the Planet member. EMA Architecture envisions being the leaders of designing and creating spaces that provide a net positive impact to the planet and community. Based in Portland, they have a focus on sustainable design, and are responsible for the first LEED certified (Gold Level) winery in the U.S. and the largest roof mounted solar array in the Pacific Northwest. Grasse uses a mechanical extraction process to produce full spectrum strain specific rosin with absolutely no solvents or chemicals. Their rosin concentrates are made from the highest quality strains from the best farms in Oregon. Grasshopper focuses on unique, easy to wear, and well made clothes that are ethically made. They strive to make sure our toys are non-toxic, eco-friendly, and most importantly, fun and promote imagination and learning. Their book selection is their biggest pride and joy; featuring many of old favorites as well as new ones. Green Drop Garage was founded by Portlander, Farhad Ghafarzade, in 2009. With four locations in Portland, Green Drop is committed to operating sustainably. Certified B Corps. Green Mountain Energy sells cleaner electricity to both residential (home/condo/apartment) and commercial (business) customers. They offer carbon offsets and renewable energy certificate. Green Mountain Energy has 11 offices across the US, including one in Portland, Oregon. 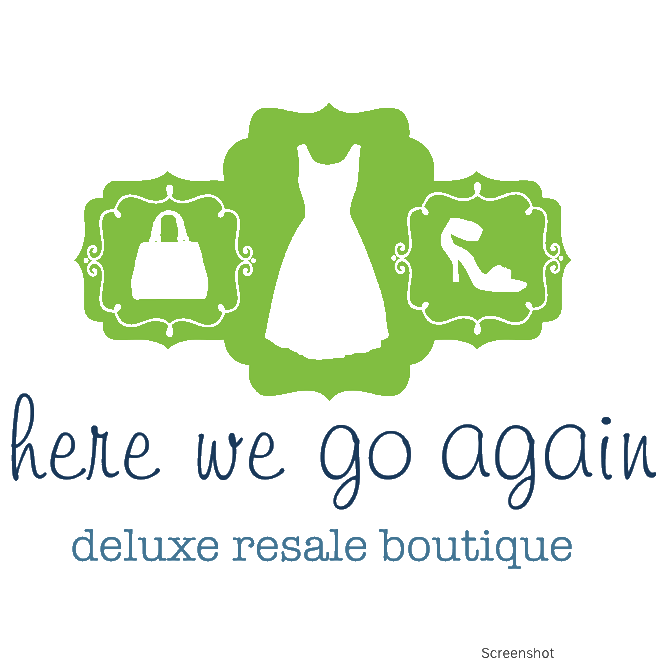 Here We Go Again believes in being a good neighbor by supporting the families, businesses and organizations of our city and neighborhoods. After all, it’s the people of our city and neighborhoods who make their continued success possible! From our energy-saving operations, to our sustainably sourced ingredients, recyclable packaging, to our clean water initiative, everything at Hopworks is filtered through a lens of sustainability. As they continue to broaden their approach to sustainability, they push themselves to reduce their impact on the planet. Certified B Corps. 1% for the Planet Member. Intel takes their responsibilities in sustainability seriously. In Oregon, Intel has achieved LEED certification for 2.8 Million square feet of their campuses, and use 100% green power. In 2017, they announced a goal to restore 100% of their global water use by 2025 through collaborative community-based projects. Founded in 1997, IR produces high quality kayaking gear for the masses. Privately owned and operated by kayakers, for kayakers! IR is located in PA, with a shop on the way in White Salmon, WA. Voted Portland’s Best Brunch in 2018 by Willamette Week Best of Portland Reader’s Poll, Jam on Hawthorne is more than a cafe, it’s also an arthouse that features jam bands and awesome visual artist. Kids are most welcome at this cafe and arthouse. It’s a welcoming location for all. KEEN is committed to putting values in motion. From the products they make, to the actions they take, they inspire themselves and others to live and work monumental every day. KEEN strives to reduce their impact on the environment, protect the places where they play, and give back to communities in need. KPFF is a multi-office, multi-discipline engineering firm driven by a commitment to their core values of Excellence, Trust, Relationships, Stability, and Passion. As a leader in sustainable design, KPFF takes environmental stewardship seriously. Firm-wide, they have over 60 LEED Certified engineers and have completed over 450 LEED Certified projects. LCA has led over 45 successful public involvement programs in over 50 communities throughout the Northwest, creating healthy two-way communication channels to align project goals with public priorities. They are committed to environmental, economic and social responsibility through decisions that cut costs, reduce demand on shared natural resources, and improve the quality of life for the communities we serve. Located in Portland, LiveBotanical creates herbal skin and body care products. A key value of LiveBotanical is to Live Responsibly, both environmentally and socially. They follow strict sourcing guidelines, practice transparency in ingredients, and donate to organizations that support the land and native peoples. Lolo: Originating from the Chinook tribe, meaning "to carry.” Lolo Racks offers robust racks that will carry 6 bikes! Racks are proudly cut, drilled, welded and painted by fellow riders and friends in Portland Oregon USA. At Looptworks, the only thing they scrap is the typical way of doing business. They’re a design brand on a mission: to use only what already exists. All the materials used to create Looptworks products at one time were headed to the landfill, or worse. Upcycling is just the starting point. Certified B Corps. Founded by a team of proud Northwesterners, MadeHere is a shop dedicated to showcasing the talents of designers, artists, and makers based in the Pacific NW. They opened their first shop in Portland's Pearl District on November 1st, 2014. A McMenamin’s favorite and Portland institution since 1905, the White Eagle is one of the most storied joints in the Northwest. These days it’s known for live nightly tunes, brews and NW-style pub fare, and historic lodging. Metropolitan Group is a social change agency that crafts and integrates strategic and creative services. They help clients with communication, multicultural engagement, organization and resource development, to build a just and sustainable world. Certified B Corps. Migration Brewing caters to a diverse customer base who share a common love for award-winning beer. They believe in sweat equity and doing it yourself. They live for sunny days on the patio. They measure success one pint at a time, and they give back. They love their neighborhoods and cities. They believe that great beer makes the journey. Specializing in superfood and smoothies, Moberi was founded by Portland, Ryan Carpenter, outside of his house in NW Portland with one bike blender, a homemade sink, and a cooler full of Willamette Valley produce. Now, there are several Portland locations and we are continuing to grow! 1% for the Planet member. At Nature’s Feel, the principles of Ayurvedic (plant & herb based) medicine are applied to the health of hair and skin. Nature’s Feel is empowering people to take back control of their own health, believing everyone should know that the perfect hair, skin, and body care, is never too far from nature. Handcrafted in Oregon. Made in Portland, North St. Bags prefers taking the scenic route and following their own path. They seek out more direct and simpler sources for their materials, eliminating wasteful transportation and costly inventories that come with sourcing overseas. North St. Bags seeks out the sustainable and tries to live simpler, more purposeful lives. Nossa Familia Coffee shows they care throughout their Full Cycle of coffee, caring for each other, the local community, customers, farmers and delivering exceptional coffee. Nossa Familia loves the continual challenge to grow in the sustainability realm. Certified B Corps. Noto Group is a purpose-driven executive search and consulting firm with expertise in recruiting for Director, VP and C-Level roles. They work exclusively for client companies that have a positive culture, leadership vision, and a commitment to the growth and support of those who work for them. Certified B Corps. The Network is formed by Oregon Certified court interpreters, Washington certified court interpreters, and Qualified Interpreters (if no certification is available). OCIN interprets and translates in an exact and true manner, from the source language to the target language. Founded in 2011, One Hundred Seconds produces professional videos that range from documentary style storytelling to fast-paced social media bites.One Hundred Seconds is a B Corp— believing businesses can be a powerful ally for the environment and community. Certified B Corps. 1% for the Planet member. Business for a Better Portland member. 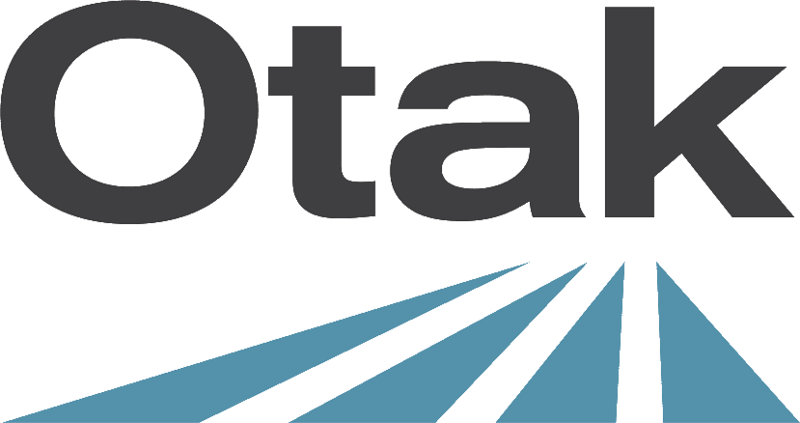 Otak is a multidisciplinary design firm that is trusted by their clients to provide project leadership and integrated design with solutions rich in social and environmental equity. Owen Gabbert LLC buildings are beautifully crafted with an earnest regard for the materials used and their impacts on the Earth. Turning brownfields into livable places, and adaptive reuse are their pride and joy. Engineers have a reputation for complicating things. But at PAE, they like to keep it simple: People and nature are their driving forces. They design high-performing buildings that keep people comfortable, healthy, and productive inside, while restoring the natural world outside. Based in SW Portland for the past 40 years, Paloma clothing offers a variety of eco-friendly, socially responsible apparel for women. It’s perfectly suited for travel and home. Located on Mississippi Ave in Portland, Paxton Gate specializes in ethically sourced taxidermy, framed butterflies, oddities, home goods, personal products, natural wonders, and fascinating curio from around the world. People's Food Co-op is a community-owned, worker-run grocery store specializing in local produce, bulk foods, and natural groceries. Located in SE Portland for almost 50 years, their building also embodies their commitment to the environment with cob walls, geothermal heating and cooling, the first bioswales in Portland, and many other green features. One of Portland largest law firms, Perkins Coie has been recognized as a leader in the area of environmental law, among other areas, by Chambers USA. They received a gold certification from the City of Portland’s “Sustainability at Work” program, and have been Recycle at Work Certified since 2007. Since inception in 1996, Portland Roasting Coffee has been sourcing directly and building sustainable relationships with coffee farmers and communities. They support coffee-connected communities around the globe through charitable gifts, and strive to create positive human connections through coffee by building a socially responsible business. Secret Aardvark was founded by Portlander, Scott Mortiz, in 2004. They began hocking sauce at Portland Farmers Markets and now they’re available nationwide and in Canada, Australia and the EU. Snow Peak is a sustainable retailer focusing on innovative & high-quality products for camping & outdoor living. At their flagship US store in Portland’s Pearl District, you'll find the complete line of Snow Peak apparel and gear, as well as a robust selection of complementary brands who share a commitment to quality, experience and design. SOLE provides paperless payroll to employers. Service is one of SOLE’s core values, which means they don’t stop at serving our cardholders and clients— they also look for new ways to serve the community. Soter has long been firm in their commitment to sustainable farming practices and responsible in nurturing the land to prolong its health for the pleasure and productivity of all those who enjoy it today, and for generations to come. SpielWerk is a community toy store centered on the idea that play is the werk of childhood. They're inspired by well made playthings that inspire free and open-ended play. We are werking on launching our own line of toys made entirely here in Portland, Oregon. At Springwater, “partners” is a verb. Their mission is to help civic, community, and business leaders achieve their goals. 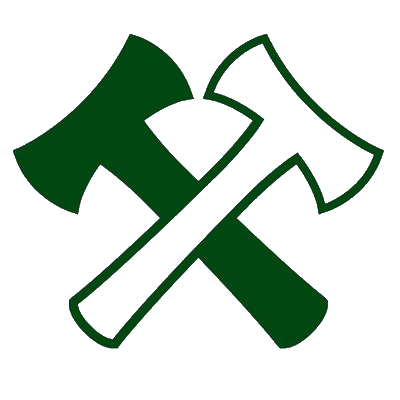 Stand Together is the community platform of the Portland Timbers and Thorns FC and signifies the commitment of the club to being champions both on the field and in the community. Stand Together harnesses the power of sport to improve the lives of children and families in the Portland Metro Area. Stoller is committed to leadership in quality winemaking and sustainable environmental practices. They blend traditional gravity flow winemaking with energy efficient systems to preserve the quality of their grapes and reduce negative environmental impact. In 2006, Stoller became the world's first LEED Gold certified winemaking facility. The Circuit Bouldering Gym emphasizes the sport and lifestyle of bouldering, offering a grassroots, laid-back feel to the community. With three of the largest bouldering gyms in the country, The Circuit has proudly served the Portland community since 2005. This Willamette Valley family-run vineyard harvest fruits from vines planted 50 years ago. Since the planting of the first vine, Eyrie has farmed deep. Their vineyards have never used herbicides, pesticides, tillage or irrigation. They take organic certification as merely the first step, and then they build on it. 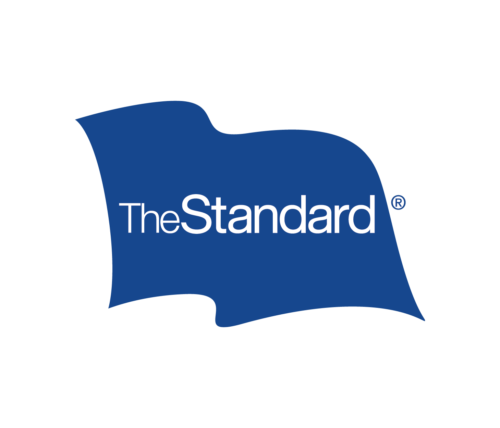 Giving back through philanthropic support is in The Standard’s DNA. Based in Portland, Oregon this insurance company believes healthy environments create strong, vibrant communities, and their sustainable practices hold fast to this vision. Tiedemann Advisors is a privately owned wealth advisory and trust company with a mission is to help clients achieve what matters most to them and to express their values through legacy planning, philanthropy and impact investing. TRP Oregon provides unmatched access to critical decision makers in business, public policy, and nonprofit work. Collaborating closely with elected officials, administrative agencies, local organizations and other key stakeholders, their approach is deeply Oregonian. Thunderpants began as a New Zealand company, and in 2016, to meet US demand and keep in line with our mutual commitment to local production we launched Thunderpants USA made right here in Portland, Or. We continue to use the NZ knitted organic cotton to keep the consistency and quality to the very high standards Thunderpants are known for. Upward Technology has a mission to help everyone they work with to excel at fulfilling their own mission, and a desire to create prosperity all around their community, with all stakeholders. They use their collective energy and resources to create a significant positive effect on our community and environment. Certified B Corps. Ranked as one of the Top 100 Best Green Companies in Oregon in 2019, Vernier Software & Technology is dedicated to creating a sustainable workplace and encouraging employees to reduce waste and emissions. Earth Day cleanups, solar power, and public transportation benefits are just the beginning of their commitment to the environment and the future. 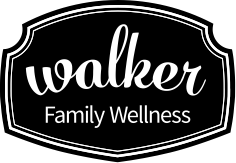 Walker Family Wellness helps their patients reduce suffering, turn up vitality, and ultimately achieve and maintain an integrated body and mind so that they may know why they are here and what they need to do. Water Avenue Coffee is all about supporting our local community. 90% or more of our coffee that we roast is hand delivered to our great partners within a 50 mile radius of our roastery. We believe in environmental, social and economic stewardship, and maintaining a local focus is a big part of what makes Water Avenue special. Family-owned since 1961, West Side Electric Company, Inc. is an award-winning, full-service electrical contractor serving the greater Portland and SW Washington. They service residential and commercial needs, including installing EV charging stations. WhatSupYonder is a woman-owned business in Netarts Bay Oregon. It provides visitors with kayak and stand up paddle board rentals in Netarts Bay, 6 miles west of Tillamook. Their self guided tours provide customers with a beautiful view of the Bay and some of the wildlife, often including seals that lay out in the sun in late spring. Founded in Portland, Oregon by the Widmer Brothers in 1984, Widmer Brothers Brewing are committed to advancing their sustainability focus and supporting local communities. They are actively aligned with reducing carbon intensity, preventing waste and supporting local communities. The Gladhart family owns and operates the 35 acres of vineyards on a 150 acre farm in the Dundee Hills, and has proudly followed sustainable farming practices since the first vines were planted in 1990. WYLD celebrates what our Pacific Northwest provides us by creating treats that coincide with our ambitions and adventurous lifestyles. Based in Portland, WYLD is Oregon’s leading cannabis edible brand. As a company, they feel a strong commitment to preserving the land we so proudly call home. YogaShala of Portland is a unique center for yoga and various related studies. Located on N Williams in Portland, they offer a wide range of classes, events and courses for all levels of yoga practitioners, including PreNatal, Restorative, AcroYoga, Aerial, Empowered Vinyasa, Hatha, Yin and more.